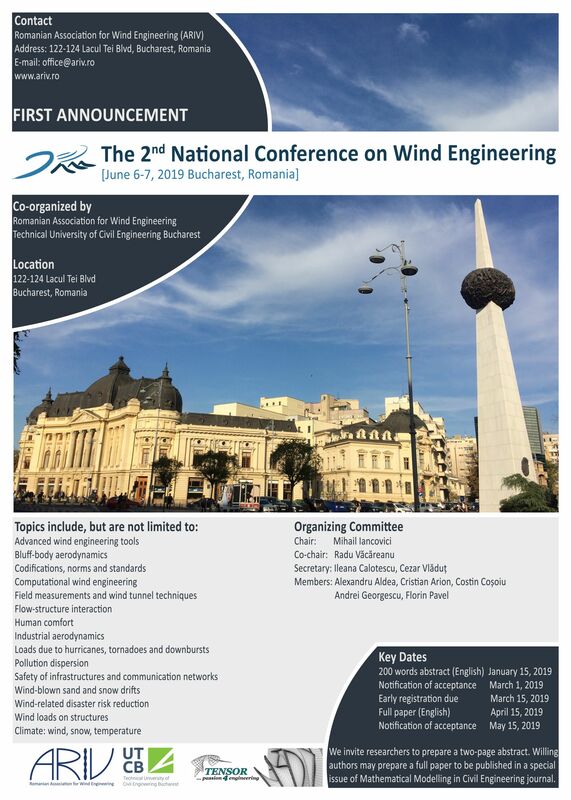 The 2NCWE 2019 encourages students to participate to the Wind Engineering Student Research Competion. The most valuable research results from 2018 in the field of wind engineering will be awarded. A 3-page abstract related to significant research results should be prepared and submitted to the General Secretariat of The Romanian Association for Wind Engineering (ARIV), corresponding email of the general secretary: ileana.calotescu@ariv.ro. The competion is open to MSc and PhD students alike. Submission deadline: May 15, 2019.